In mid-October, the Tennessee Hospital Association held its 80th annual meeting at the Franklin Marriott Cool Springs. With a theme of "Hospitals Make it Happen," the 2018 event focused on educational and networking opportunities for hospital and health system professionals. The three-day event kicked off with the Tennessee Center for Patient Safety's Leadership Summit, which focused on best practices and quality improvement efforts from hospital leaders across the state. Topics ranged from antibiotic selection to decrease acute kidney injury to reducing hospital-acquired pressure injuries. In celebrating the organization's 80th anniversary, THA President and CEO Craig Becker, FACHE, noted, "In my nearly 25 years with THA, we have faced many challengers and enjoyed many successes. What continues to amaze me is how hard our industry works - in spite of adversity - to provide reliable and effective care to millions of people in our state." He added that when the organization was founded 80 years ago, it was with a pledge to lead in advocacy and to support community-based hospitals and health systems. Becker nodded to great work happening across the state from Mountain City to Memphis. However, a number of Tennessee communities have faced challenges in maintaining access to services, particularly in rural communities ... although hospitals in larger markets are not immune, either. McKenzie Regional Hospital in Carroll County shut their doors earlier this fall. In late October, Tennova Healthcare, which is part of the CHS system, announced plans to close Physicians Regional Medical Center in Knoxville and Lakeway Regional Hospital in Morristown by the end of the year. Becker has been a vocal supporter of Medicaid expansion, which Tennessee has not opted to do, in order to stabilize access to high quality inpatient care. In the face of these challenges and an ever-changing healthcare landscape, the THA annual meeting created an agenda designed to spark innovation and inspire action to tackle a number of key issues. The broad array of speakers and panel discussions included topics ranging from the role of telemedicine in care delivery and integrating behavioral health to provide holistic care to addressing workplace violence and sharing insights from the patient's perspective. The event also included the election of the 2019 board. 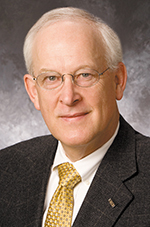 Vanderbilt Health System CEO Wright Pinson, MD, MBA, FACS, will serve as chairman of the board. 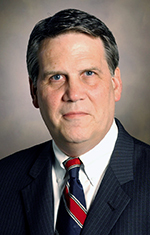 James Ross, AEMT, BSN, MSHA, president and CEO of West Tennessee Healthcare in Jackson, will serve as chair-elect. Pinson follows Marvin Eichorn, executive vice president and chief operating officer of Ballad Health in Johnson City, who served as THA chairman last year. Under Pinson's leadership, Vanderbilt University Medical Center's clinical activities have grown more than 50 percent. Beginning in 2011, he helped develop and organize the Vanderbilt Health Affiliated Network and is responsible for the oversight of a number of joint ventures. Pinson, who initiated the first liver transplantation program in the Pacific Northwest and for the Veterans Administration system prior to coming to Vanderbilt in 1990, is active in research and education, as well. His work as a clinical and laboratory investigator has resulted in 350 publications and numerous grants and awards. A professor in the Owen Graduate School of Business, Pinson is co-founder of the Master of Management in Healthcare program. He is board-certified in both surgery and critical care. Other 2019 board members from Middle Tennessee include: Tim Adams, CEO of Saint Thomas Health; Rogers Anderson, board member at Williamson Medical Center; Charlotte Burns, senior vice president with HCA/TriStar Health; Randy Davis, president and CEO of NorthCrest Medical Center; Christopher Edwards, MD, system CMO for Maury Regional Healthcare System, Christopher Holmes, president and CEO of FirstBank; Paul Korth, CEO of Cookeville Regional Medical Center; Scott Peterson, CEO of HealthSouth Rehabilitation Hospital of Franklin; Heather Rohan, president and CEO of HCA/TriStar Health; Cherie Sibley, COO of the Central Group for LifePoint Health; Alan Watson, CEO of Maury Regional Healthcare System; Don Webb, CEO of Williamson Medical Center; and Jeffrey Woods, division president of Acadia Healthcare.